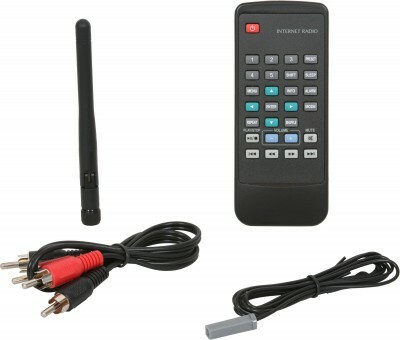 Download the UNDOK App to control the RM-IRD remotely from your smart device. 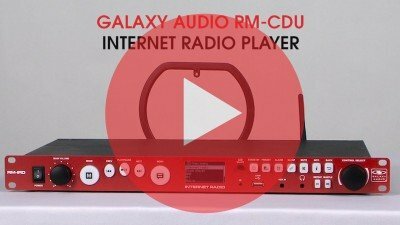 The new RM-IRD Internet Radio Player is unlike any other media player available. Now with an app that gives you control right from any Android Smart Phone or Tablet running Android™ 2.2 or later and or any iOS Smart Phone or Tablet running iOS 7 or later. The RM-IRD has access to 20,000 stations, broadcasts, and podcasts. The RM-IRD connects to a router via Ethernet cable or WiFi. From there, you have access to a seemingly unlimited number of local, national, and international stations. Set up and navigation are easy with the 2.7-inch display, which will display up to 6 lines of text. Through the menu screen, you have access to a selection of numerous modes; Equalizer, Network access, Time/Date, Language, etc. The RM-IRD features many convenient features, like FM w/RDS, Clock w/auto update, Sleep/Snooze, Alarm, permission password, among many others. The RM-IRD features easy to locate and read function buttons on the front panel. These buttons can be illuminated by pushing the LED button on the front panel. This makes for easy controlling in a dark room or when in a rack. The RM-IRD can share media with other devices on your server/network. The RM-IRD can access files and playlists from Windows Media Player. 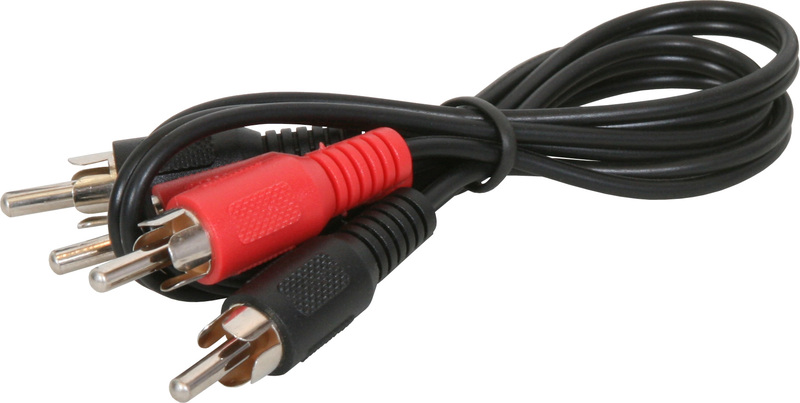 This allows you to set a playlist on your computer and then have it broadcast through a distributed audio system. Additionally, the RM-IRD can be linked with the Internet Radio Portal/Frontier Silicon Internet Radio Portal. This allows you access to set up favorites and browse through thousands of online stations.